A compilation by The Cruise Web employees. Sure you’ve heard about the Norwegian Breakaway, but have you met her sister, the Norwegian Getaway? She is the Miami version of the Norwegian Breakaway. Miami plays a key role in her features, like her hull which is designed with images of the sun and sea. She also tips her hat to Miami’s moniker as the Magic City with the brand-new Illusionarium, a dinner theater space with an incredible video screen on the domed ceiling. There is a mojito bar and menu items featuring those Cuban flavors that are popular in Southern Florida. To make sure everything is as promised, members of our Cruise Web team are taking a two-night cruise at the end of January to do some investigating. While onboard, each of our team members will be attending courses while eating, drinking, dancing and relaxing just like you will when you are onboard, and they’ll let us know what they think of the entire experience when they get back. In the meantime, find out what they are most excited to explore on the Norwegian Getaway! I’m most excited to see the Illusionarium on the Norwegian Getaway! This amazing entertainment and dining experience combines awesome restaurants and a veritable circus of illusionists and mentalists. I can’t wait to experience the magic!! 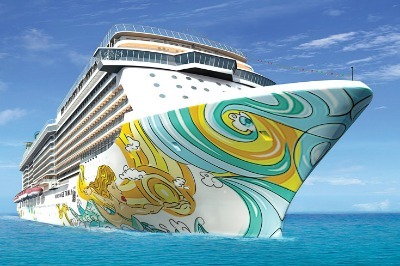 I’m most excited to experience the latest and greatest in contemporary cruising on the Norwegian Getaway! The ship has 16 dining venues from the standard complimentary dining rooms to the a la carte gelato bar, and you can’t forget the specialty dining that Norwegian is known for. I’m most excited to try out the three-story sports complex. I love mini golf at sea! I’m most excited to take part in the cake decorating class from The Cake Boss on the Norwegian Getaway since I watch his TV show! 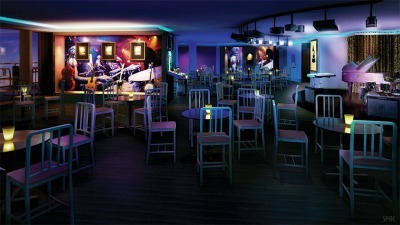 I am also looking forward to seeing the Legally Blonde musical and going to the Howl at the Moon piano bar. I’m most excited to see the differences between the Norwegian Getaway and the Breakaway. I’m really excited to witness the magicians and illusionists at the Illusionarium. I’m most excited to see all the shows on the Norwegian Getaway, as well as experience the wonderful variety of dining venues! The Getaway is home to the first at sea production of Legally Blonde and also has a new interactive show called Wine Lovers The Musical. 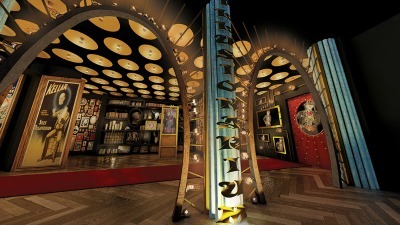 They also feature the GRAMMY Experience, where GRAMMY winning performers and nominees perform. I’m most excited to experience Ocean Blue by Geoffrey Zakarian on the Norwegian Getaway. Guests aboard the Norwegian Breakaway, the Getaway’s sister ship, have said such great things about this specialty seafood venue, and I can’t wait to try it for myself. Weather permitting, I’d also love to explore the entire ropes course and walk The Plank. I’m most excited to check out the Wine Lovers lunch on the Norwegian Getaway! As a wine enthusiast, I’m excited to try new wines paired with amazing food! I am most excited to see 678 Ocean Place and The Waterfront, which is a wonderful spot for dining alfresco. I’m most excited to do the ropes course on the Norwegian Getaway! There you have it folks, our team has their work cut out for them with all of these amazing features. Which feature would you say you are most looking forward to experiencing when you get a chance to cruise on the Norwegian Getaway? NOTE: The views and opinions expressed herein are those of the contributors, and do not necessarily reflect the position of The Cruise Web.